Beijing seems set to raise taxi fares from 1.6 yuan (20 US cents) to 2 yuan (25 US cents) per kilometre. At a public hearing yesterday, 56 per cent of attendees agreed to the pricing plan, which aims to offset the impact of up-to-50 per cent hikes in fuel prices since 2000. The plan was submitted by the Beijing Municipal Transportation Bureau to the city's pricing regulator earlier this month. "We are trying to find a solution so that taxi companies, drivers and passengers share the rising costs," said Ding Baosheng, director of the transportation bureau. Organized by the Beijing Municipal Commission of Development and Reform, the hearing invited 25 representatives from business operators, drivers, consumers and experts. Ten city residents attended the hearing as observers. To reduce the impact of higher costs, taxi companies and the government have been subsidizing drivers since 2000, said Hu Yongxin, manager of Xianglong Taxi Company. 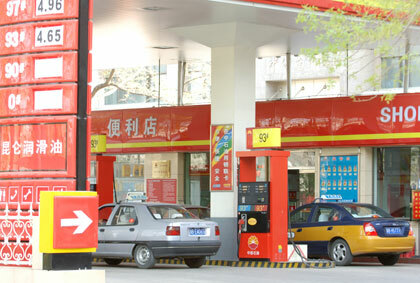 The subsidies range from 500 yuan (US$63) to 670 yuan (US$84) each month. But when the new fares come into force, the subsidies will be lowered as drivers are expected to benefit from the rising fares. But according to Wang Qianhu from the China Consumers' Association, this means "transferring the rising cost directly to consumers." He criticized some companies for seeking compensation while conveniently ignoring falling car prices, which have considerably reduced their operating costs from a decade ago. For example, a Jetta is sold at about 80,000 yuan (US$10,000), less than half the price 10 years ago. "I hope the pricing regulator takes all cost-related factors into account so that the new pricing plan can be reasonable and acceptable to all sides," Wang added. Li Yong, a member of the municipal political consultative conference, said raising taxi fares is not the only solution; the government should also consider other energy-saving measures such as restricting the number of cruising taxis and encouraging call taxis.